Chain-link fence systems can be a complicated ordeal with variations ranging from the typical residential backyard installation, pool code compliance commercial applications, tennis court colored fence systems, 12 foot tall industrial applications with barbed wire and everything in between. Premier Fence Company prides itself on making things as easy as possible with our competent, knowledgeable staff. We can assist you in both deciding what is best for your application and providing you a detailed breakdown of necessary parts that you will need for a complete installation. 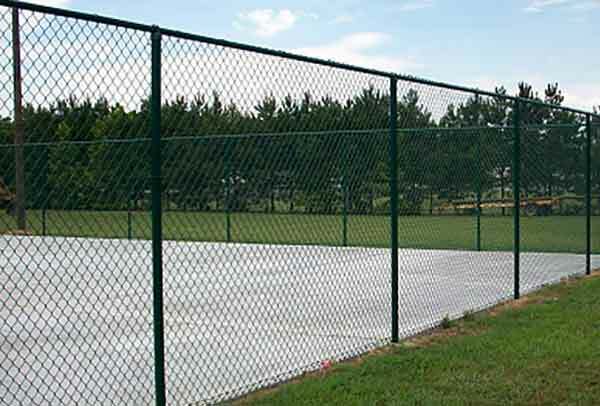 We offer an extensive range of chain link materials from 3’ high galvanized residential materials to 10’h black tennis court materials including a wide range of tubing, pipe, and fittings in galvanized, black, and green. Galvanized chain-link fencing with all its capabilities, installation options, and low cost has always been the standard for backyard residential, commercial, and industrial fencing applications. 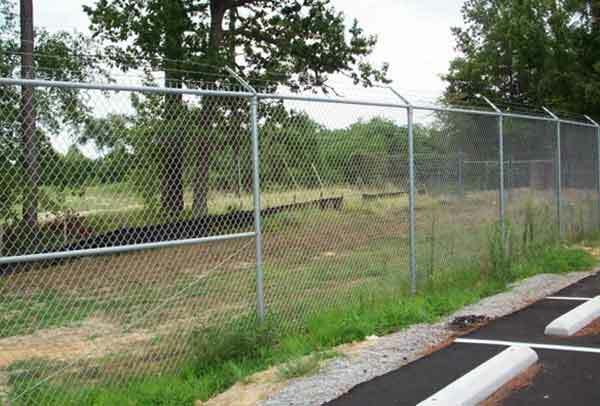 Premier Fence Company works on galvanized chain-link fencing for practically every application. We have access to an extensive supply of fabric, posts, rails, and fittings in different grades and dimensions for your project. We also have quick access to specialized materials such as mini-mesh fabric, specified coatings materials, and privacy enhancing options for chain-link fence including windscreen, privacy slats, and aluminum lattice. 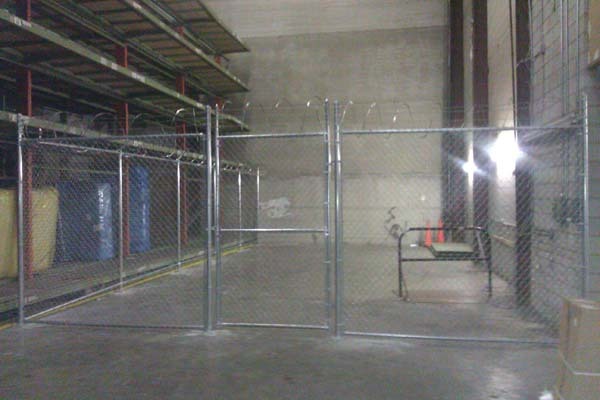 We also use common galvanized residential chain-link gates in multiple heights and widths and our competent fabrication shop can make custom size gates, offset posts, flange plate posts, and aluminum slide gates for all applications. Color coated chain-link fence systems have become increasingly popular as an alternate to galvanized chain-link fence systems. With advances in powder coating and adhesion, color chain-link fences are more durable, attractive, and attainable than ever before. Its ability to seemingly “blend” in with its surroundings gives your new fence a functional, but hidden effect. Premier Fence Company offers a wide range of fabric, posts, rails, and fittings in different grades and dimensions for both black and green powder coated chain-link fences and can acquire brown or PVC (Vinyl) coated materials upon request. Feel free to give us a call with the footage of your project or send us a sketch including all measurements, gate sizes and locations, desired height, and material grade. A member of our highly experienced staff will respond with a detailed and accurate quote including a complete breakdown of all necessary parts. Premier Fence Company is here to answer any questions you may have!